From Sudoku to handheld games, people young and old alike have been looking for ways to improve their mental functioning and prevent brain aging. While you’re playing these games, you’re actually improving your cognitive function. This training can help improve your memory, response time, and logic skills, giving your mind the workout it needs. Let’s explore the top websites and games that can keep you sharp and improve your mental fitness. Sudoku is a highly addictive number placement game that relies on memory. To complete a Sudoku puzzle you have to look ahead and follow trails of consequences—if you put a 6 in this box, that one must be an 8 and this one a 4, etc. This “planning” helps improve short-term memory and concentration. Like crosswords, Sudoku is a popular brain game you can play online or on paper. Books are available at many stores and a number of websites offer free Sudoku games, you can even find apps for your phone or tablet. Also like crosswords, Sudoku is available at varying degrees of difficulty. When you’re starting out, play the easy games until you learn the rules. And, if you’re playing on paper, use a pencil. You will likely do a lot of erasing. Lumosity is one of the most develop brain training and mental fitness websites around. You can sign-up for a free account—offers three games per day—or choose the subscription service. Either way, you can keep track of your results and improvement. With Lumosity, you’ll find yourself challenging your brain and getting better at your scores along the way. Most important, these are fun brain training and mental fitness games, tests, and activities backed by science. Not only can you use the website, apps are available for iOS and Android, so you can train on the go. Happy Neuron is a website with games and activities divided into five critical brain areas: memory, attention, language, executive functions and visual/spatial. Like Lumosity, it personalizes the training to fit you, tracks your progress, and the games are based on scientific research. Using the website does come with a monthly subscription fee. However, Happy Neuron also offers a free trial offer so you can see if you like the approach. My Brain Trainer claims to be an online “brain gym.” It is similar in format to Lumosity and Happy Neuron, though a three-month subscription costs the same as a month on the other services. The annual subscription is an even better deal. It’s definitely worth checking out if you’re on a tighter budget. You can try a challenge for free as well. This website is full of games, puzzles, and other challenges designed to improve your mental fitness. The website recommends 10 minutes of brain training twice a day for the best effects. It also has a basic training program which claims to improve your mental speed. Crosswords are a classic brain trainer, accessing not only verbal language but your memory from many dimensions of knowledge. Best of all, there are many ways you can do a crossword, both online and off. You will also find an endless list of free crossword puzzles online. Many newspaper websites offer them and crosswords are popular on many free game websites. The AARP website also offers a free daily crossword and you don’t have to be a member, just remember to visit the site once a day for maximum benefit. Brain-training games capitalize on the ease with which we game by offering a wealth of puzzles and problems that can be played for hours or merely minutes at a time. 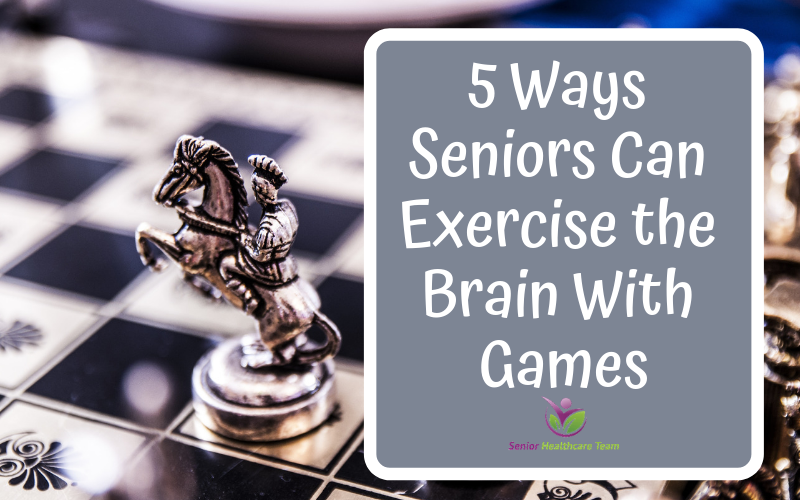 Learn more about the top brain-training games that can sharpen the mind and potentially prevent cognitive diseases like Alzheimer’s.